Pike Place market is one of the most alive places I have ever been. In every way, it is a sensory experience. Feet on uneven cobbled streets carry you towards the sound of the crowd and the dozen or so musicians performing throughout the market on a summer day. If you arrive early, the soundtrack of the market is one of vendors calling out to one another, fishmongers’ shovels scooping ice, and countless delivery trucks. 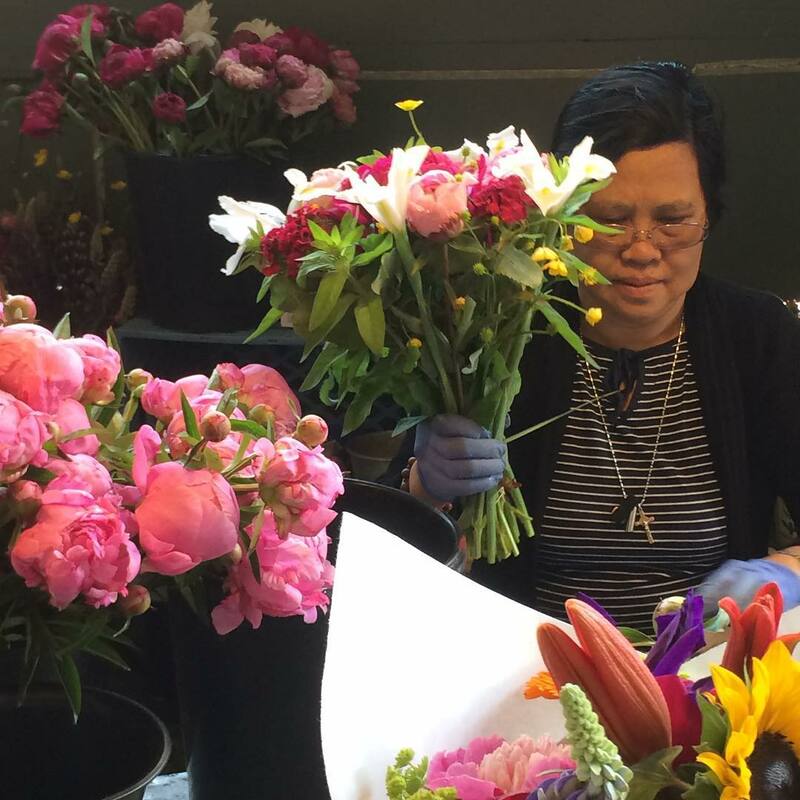 Smells of the fish market give way to the scent wafting from bread ovens, which give way to the scent of thousands of flowers being packed into bouquets stem by stem. 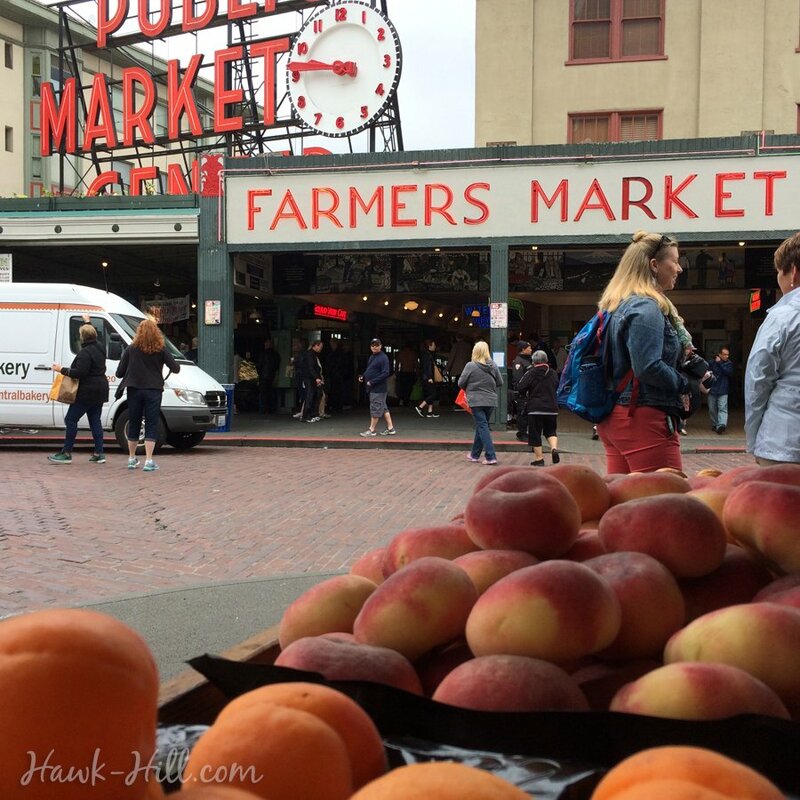 Pike Place, both in terms of restaurants and the many vendors who stand, peach in one hand, knife in the other, outside their booth offering samples, is an experience of sight and taste, of touch and smell, of audible “aliveness”. That’s the market I came to know my first year in Seattle, where the market was a daily excursion as I walked from my bus stop to the red brick building where I was learning, in a master’s of counseling program, to see and receive these moments and to more fully experience life through sensory experience. 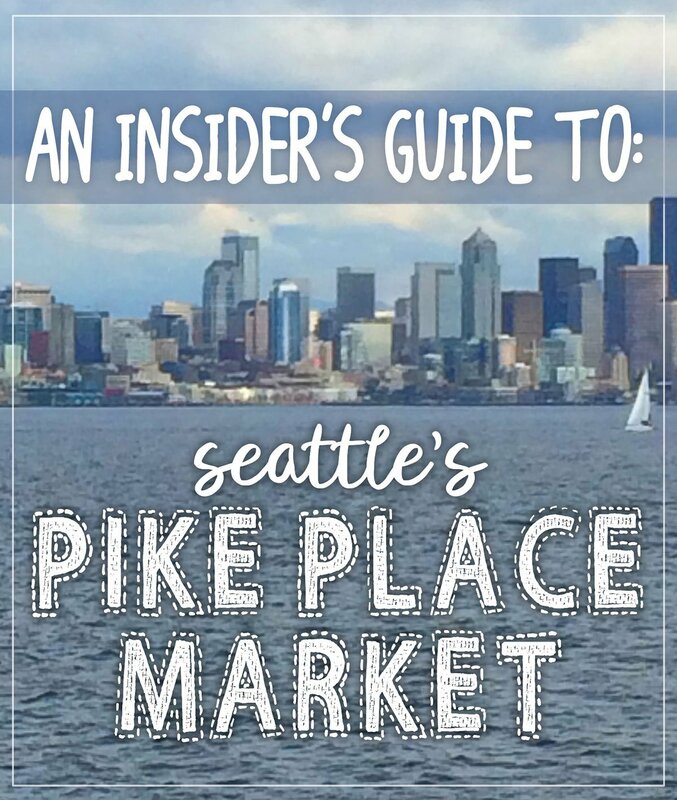 This is my guide to experience the best parts of Pike Place, through this sensory-embracing and cost-saving Guide to a Day at Pikes Place. When I moved to Seattle in 2015 to start grad school I moved into a tiny studio apartment in an old building downtown. Being 4 blocks from the Puget Sound and 6 blocks from Pike Place market was a pretty major life change for this girl who’s never lived in a city of more than 50,000, or ever lived in a state that wasn’t land locked by at least two states on all sides. Knowing that my heart will demand my return to a smaller town after graduate school, I decided to make the most of the experience of living in downtown Seattle and for me, that has been three-fold: 1. challenging myself to do at least some of my grocery shopping in the market, 2. Taking advantage of the flower market to brighten up my tiny living space, and 3. 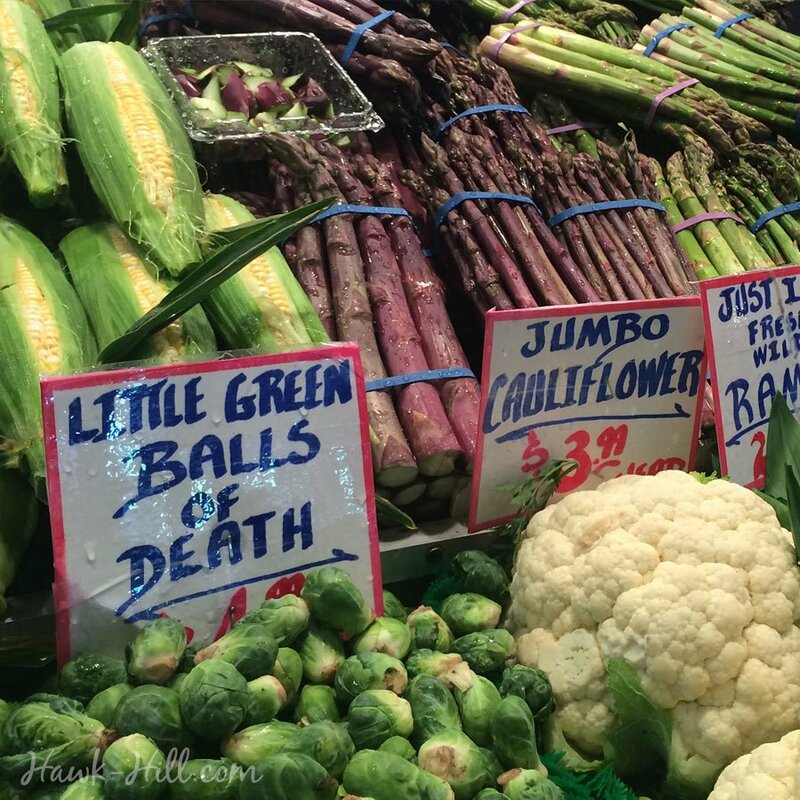 Finding favorite vendors and returning to their market booths, building what community there can be in a farmer’s market as large and popular as Pike Place. 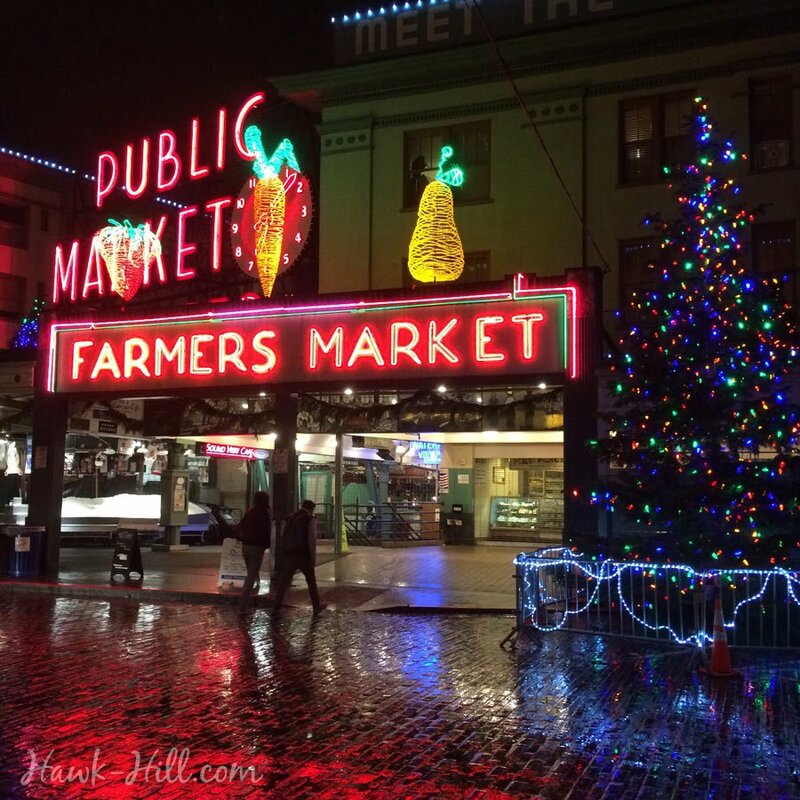 Winter in Seattle is mild, and while it might be wet, it’s a GREAT time to enjoy all the market has to offer with a smaller crowd. 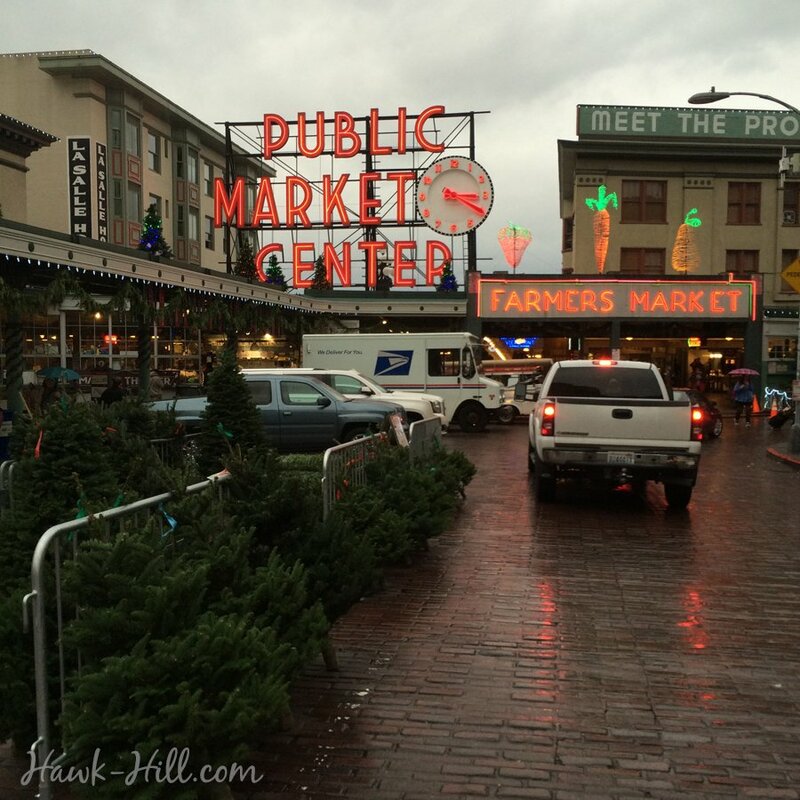 Even though I’m a recent transplant to Seattle, I realized after a few months that I’ve actually been to “the market” far more times than many locals! I love treating my local friends to an adventure exploring parts of the market they- and most tourists- have never seen. 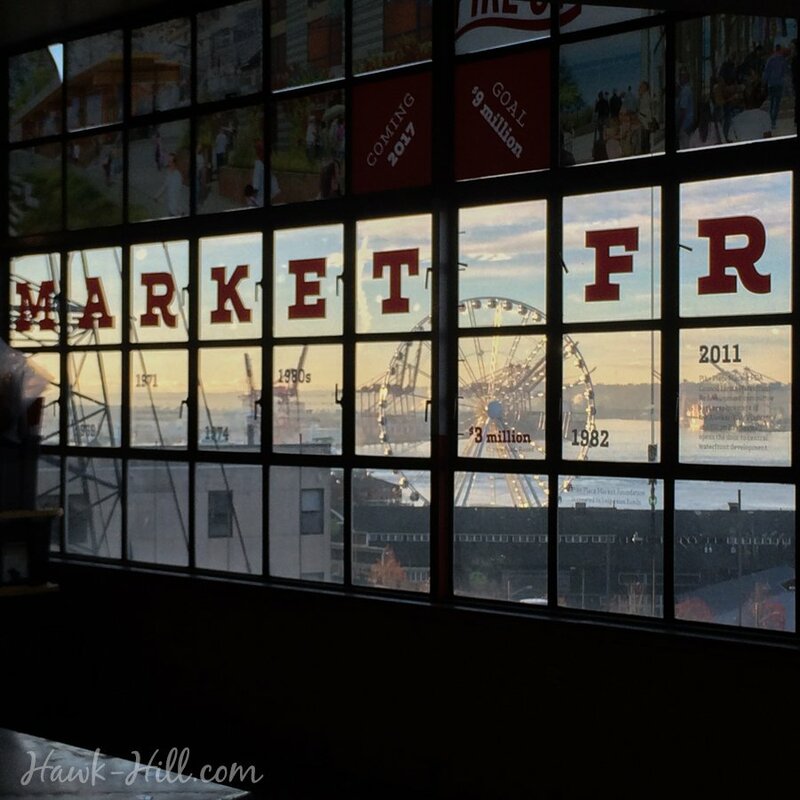 In thinking what would be useful to share with blog visitors, I decided to draft this “Local’s Guide to a Day at Pike Place Market” to share some of my favorite places- including some popular spots and lesser known gems. 1. SKIP LINES: I hate lines. So this itineraty is designed to circumvent them for the most part. 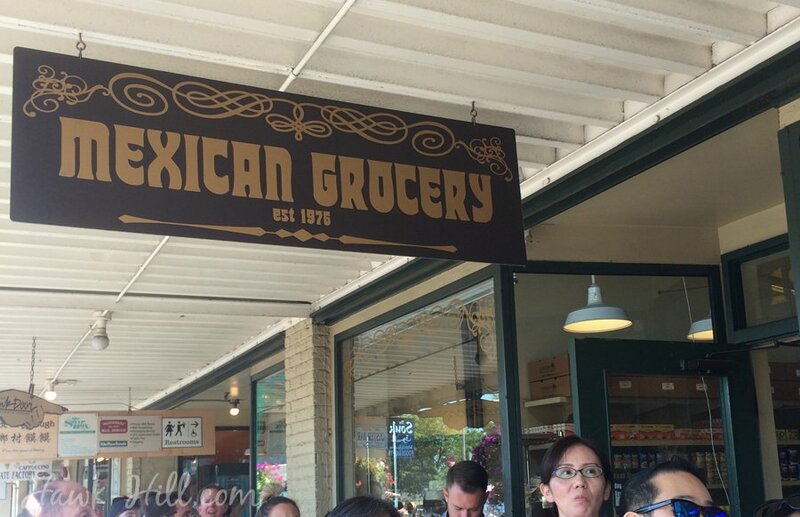 You can spend an entire day in lines at Pike Place if you hit certain spots (Starbucks, Piroshki Piroshki, etc) but this list is a little off-the-beaten-path and avoids lines for the most part. 2. Be open to experience the market with all your senses! Taste, see, smell, touch, listen and notice- really pay attention. 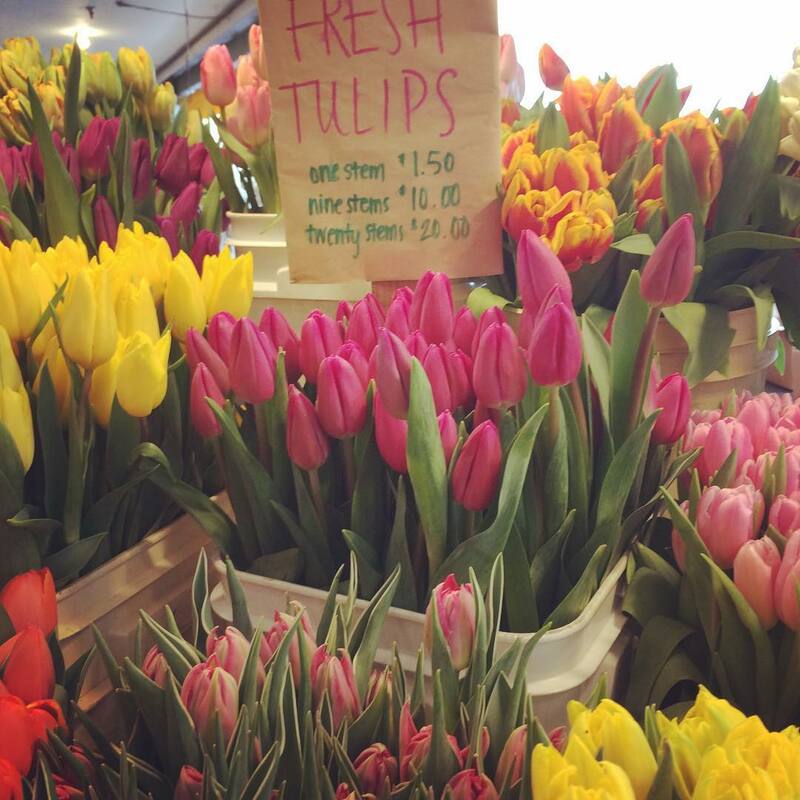 The market is a rewarding place to be alive to your senses. My advice is to get to the market early. 9-10 am in the winter, or 8-9 am in the summer. The bakeries and restaurants open very early, and it’s a fascinating experience to sit with a cup of coffee and watch the market wake up in the morning. SKIP STARBUCKS. It tastes like Starbucks anywhere, and it’s a complete myth that the Pike Place Starbucks was the first (the original was torn down long ago). Although LE PANIER is technically primarily a bakery, it’s my favorite coffee stop in the market, and makes my second favorite Vanilla Latte in the city. Their Almond Croissant, often still warm from the oven in the mornings, is unbeatable. 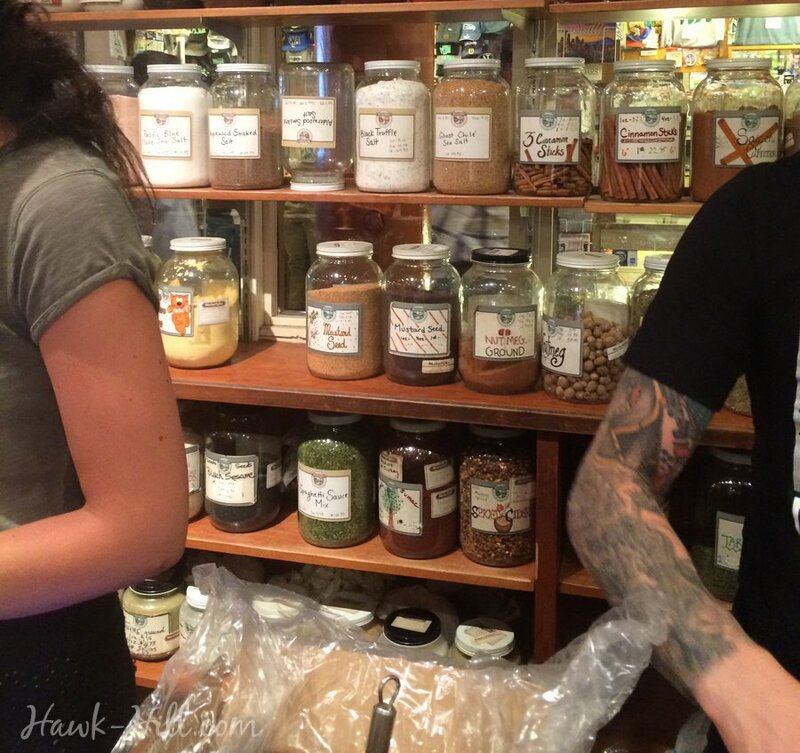 MarketSpice– If you like cooking or tea or smelling things that smell nice, this is a spot you’ve got to check out. Even if you aren’t a foodie, this is a great place to get cheap souvenirs for the foodies in your life. No one really wants you to bring them back a pike place piggy bank souvenir, but fresh whole cardamom pods or signature chai tea might an affordable and easy to pack gift for the foodie in your life. 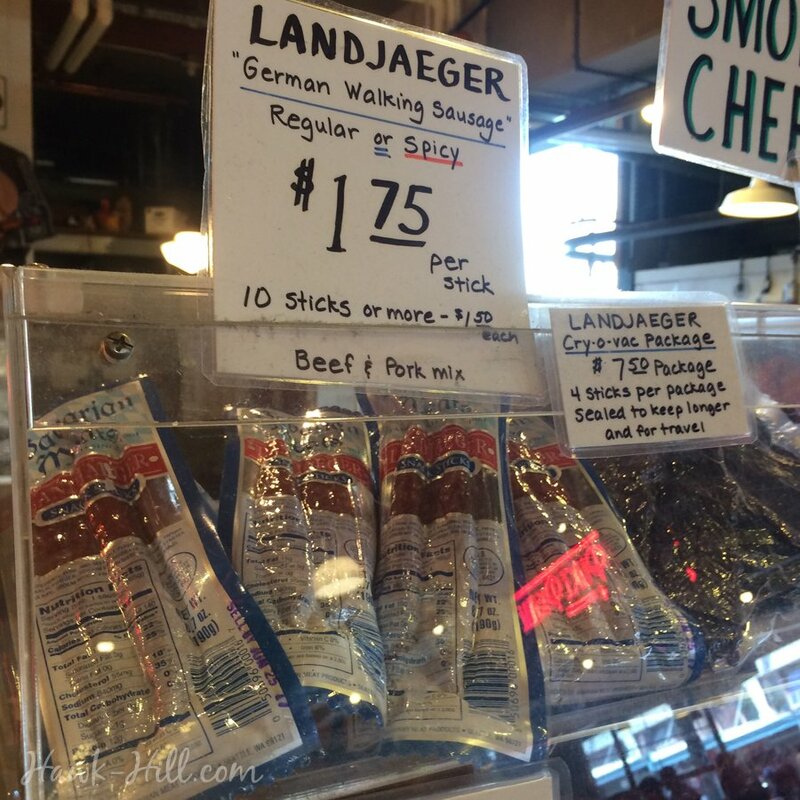 Don and Joe’s Meat is a full service butcher- not what you might think of as a fun stop on a tour, but Don & Joe’s “landjäger” (aka German walking sausage) is just a buck or two, tastes what beef jerky is supposed to taste like, and makes a fun nibble. Tucked away in an obscure corner of Pike Place Market there is a quiet garden oasis where (for no charge and no spiel to purchase anything) you can take a break from the crowd to sit and recharge in a community garden of vegetables, flowers, and fountains. 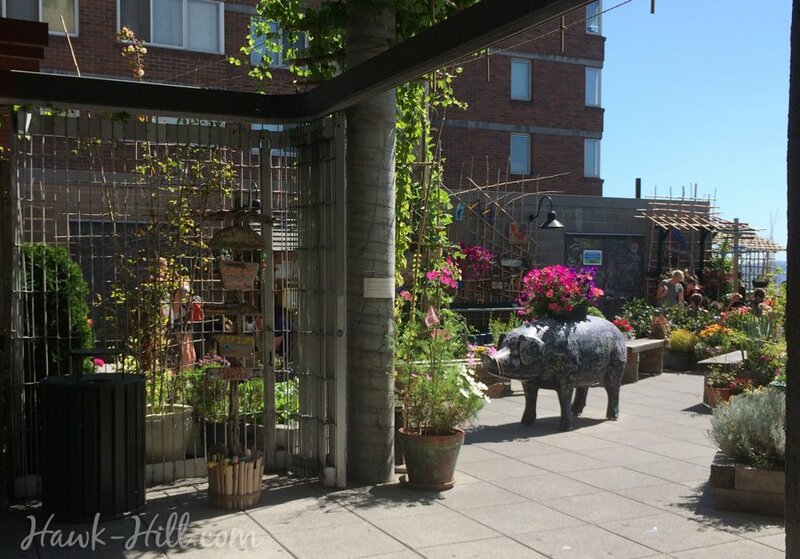 It’s a little difficult to find, so I wrote a separate post dedicated to How to Find Pike Place’s Secret Rooftop Garden. The views of the Puget Sound and Olympic Mountains from this roof are stunning, and it’s literally less than 50 steps from Pike’s main entrance, so in my book it’s a can’t miss. The hidden community garden at Pike Place Market. Read more about it here. delight is often in noticing details. 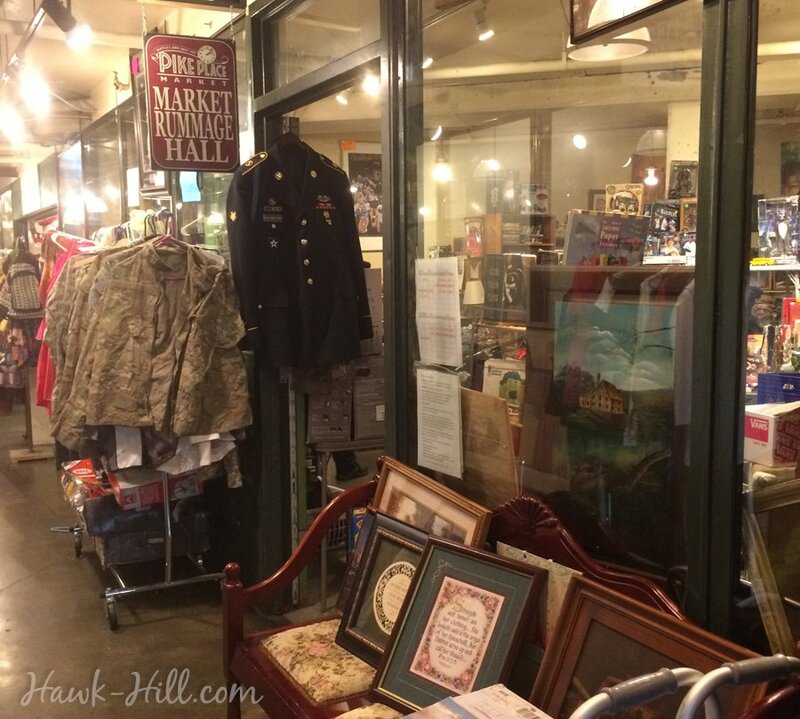 In the same area, but back out and around the crowd around the fish throwers, there is a small, free, Pike Place museum with displays about the history of Pike Place Market. 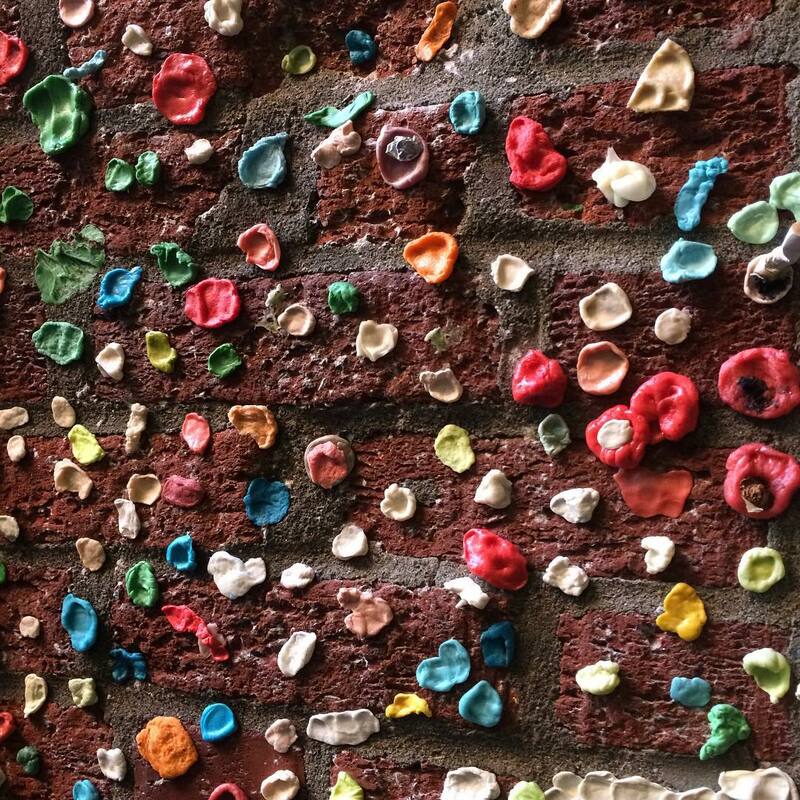 GUM WALL – Gross, but an un-missable part of the Pike Place Experience. Start chewing that bubble gum as you head out and down the stairs next to Rachel the pig (under the clock) and into a covered alley known as “The Gum Wall”. Side step teenagers taking selfies, and snap a few pics of yourself adding that wad of gum in your mouth to the history of Pike Market. The Gum wall is somehow simultaneously disgusting and really quite beautiful, and is definitely a can’t miss stop. The Gum Wall was steam cleaned in 2015, here it is in January 2016 beginning to regenerate. So, by now you’ll be hungry, and able to smell everything, and you’ll have a thousand choices. 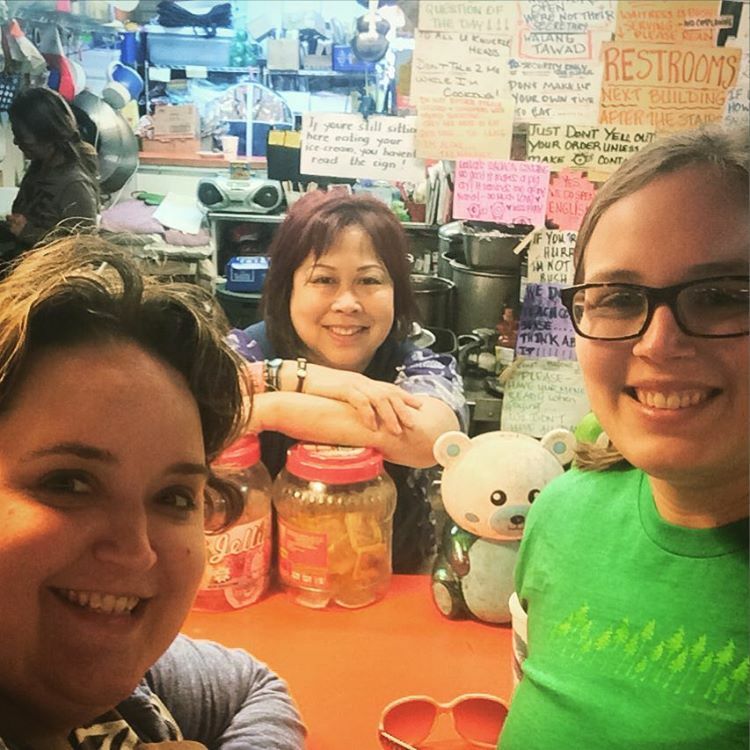 The Lunch Counter at Oriental Mart, where a lady named Leila who has cooked at Pikes Place for 40 years will chat you up while serving up amazing Filipino Cuisine. Don’t try any backtalk, Leila is a delight who says her mind and doesn’t take any sass (just read her signs if you don’t believe me). If you are food-adventurous, this is THE spot to head to for lunch. Leila and her signs are a part of the experience at Pike Place, for me. 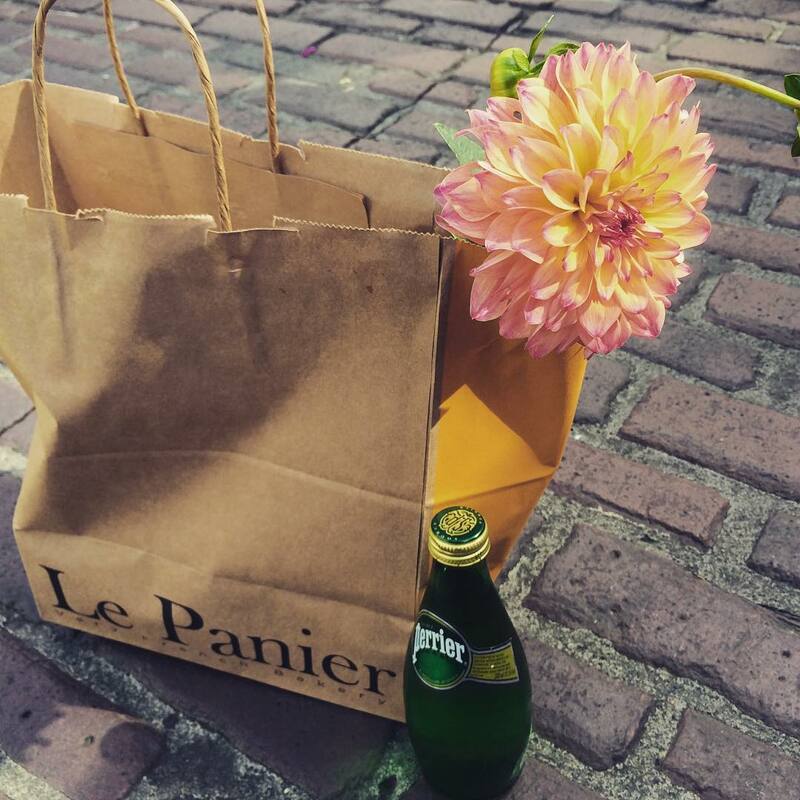 FOOD: Take advantage of all the market offers with fresh fruit from a grocery vendor, a baguette sandwich from Le Panier, and either sparkling water or a fancy soda from Pear Deli’s back wall, which features hundreds of varieties of soda. Pear also rocks out some great sandwiches and deli items, so is never a bad choice. PICNIC LOCATION #1: Victor Steinbrueck Park is a grassy knoll with a sound & mountain view located at the north end of the Market and makes a great picnic spot on quieter days. No filter, that’s just morning over the Puget Sound as viewed from the Craft Vendor area of Pike Place. After lunch, check out the craft vendors, and keep an eye out for my favorite- the donut cat booth. Take a moment to linger- a sale at this booth is 1 part sale, 2 parts theatrical production! If you’re ready to rest your feet for a bit, return to the main market corner (under the clock) and climb the stairs of the building that sits city-side. The third floor features Storyville Coffee, Yelp’s #2 coffee shop in Seattle. Admittedly, Yelp’s #1 is only a block outside the market, but Storyville’s views of the market below, vibe, and adequate seating boost it to #1 in my book. Possibly my favorite quirky spot in the market, and definitely the oddest, is the Market Rummage Hall, which is buried in the bowels of the market but definitely worth the hunt. Just enter the (city side) market building at the mall-like entrance hall next to Piroshki Piroshki. Turn left at the T and follow the hallway past the cigar shop and the Rummage Hall will be on your left. It’s not marked well, but with its contents typically spilling into the hall, it’s hard to miss. The Rummage Hall is hit or miss, and is managed by different sellers on different days, but is always a detour for me when I’m in the market. I often leave empty handed but I’ve occasionally walked away with fantastic finds for just a few coins. Metzger Maps – a fascinating look at mapmaking and navigation pre-Google. Metzger has high end art quality topographical maps, geographical educational toys, and everything in between. Paper Hammer – If, on your way our of the market, you head up to 2nd, Paper Hammer, located across from CityTarget, is a book binding and print making shop that’s quirky and unique. Left Bank Books and Lamplight Books are fixtures at the market. Lamplight is everything a used bookstore should be, with books piled in corners and on top of shelves in every corner. Lamplight gets points for having a solid selection, without the filler found in most used bookstores. PLAY: If you have any energy left, Unexpected Productions runs comedy improve shows in the Market Theater year round. Tickets sell for as low as $7, but often sell out on summer weekends so you may want to purchase in advance. REST: After a day at the market, I’m usually too tired to enjoy dinner out. I think one of the best ways to fully enjoy the market is to take some simple groceries back to where you are staying and enjoy drinks, food, and rest with your co-adventurers. Bread, cheese, cured meat, and fruit make a light summer dinner that can be prepared in a hotel room without a kitchen and can all be easily picked up on your way out of the market. 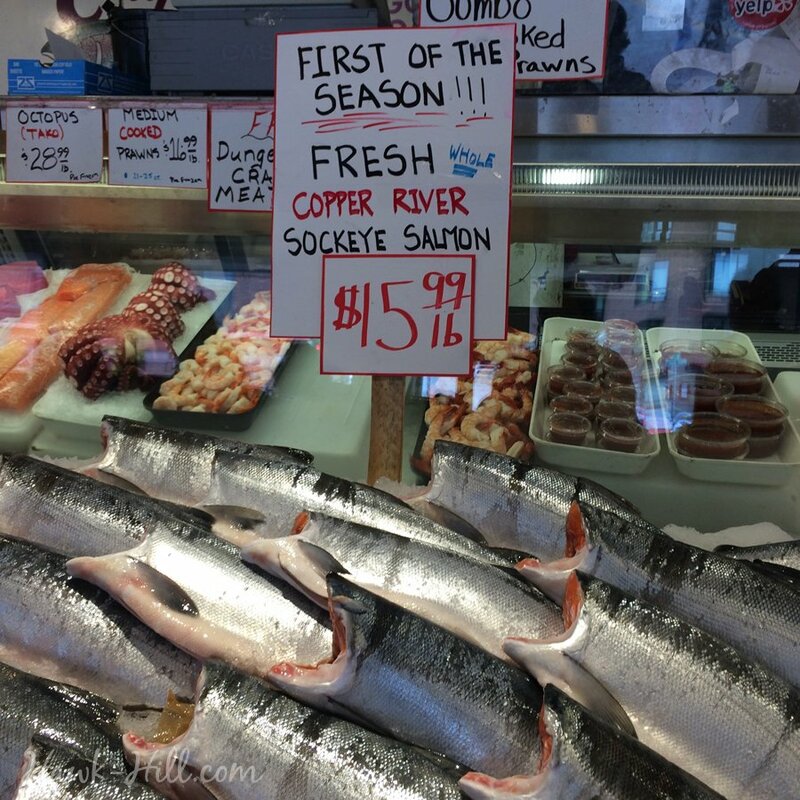 Alternately, if you have a full kitchen in your condo or airbnb lodging, Salmon fillets with an in-season vegetable and an in-season fruit for desert makes an easy, market fresh meal. 1. The skill of the women who make these bouquets is artistry to watch, and they’ve got some cool tricks up their sleeve you might use next time you try arranging flowers. 2. You are guaranteed the freshest flowers if they make a bouquet while you watch. 3. You’ll get to pick your colors and flowers. This woman is packaging the $10 bouquet she made for me in the colors I requested. Just $10! Pikes Place mostly closes down after dark, but the neon signs take center stage then.